You have read this article christmas / downloads / printable with the title November 2010. You can bookmark this page URL http://jenkrebs.blogspot.com/2010/11/west-elm-printable-holiday-tags-and.html. Thanks! You have read this article random with the title November 2010. You can bookmark this page URL http://jenkrebs.blogspot.com/2010/11/orange-everywhere.html. Thanks! You have read this article printable with the title November 2010. You can bookmark this page URL http://jenkrebs.blogspot.com/2010/11/happy-thanksgiving-printable.html. Thanks! 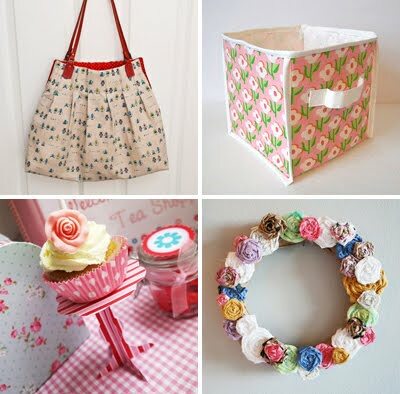 You have read this article entertaining / sewing / tutorials with the title November 2010. 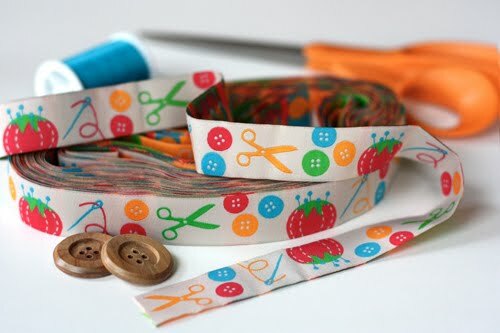 You can bookmark this page URL http://jenkrebs.blogspot.com/2010/11/pretty-project-tutorials.html. Thanks! You have read this article giveaway with the title November 2010. 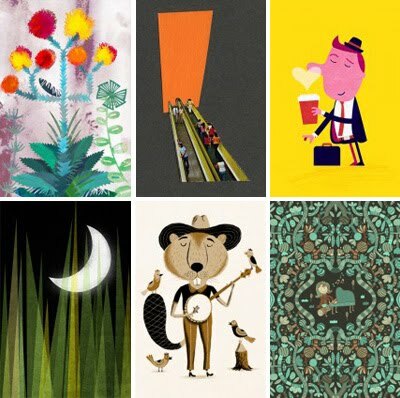 You can bookmark this page URL http://jenkrebs.blogspot.com/2010/11/giveaway-art-prints-from-thumbtack-press.html. Thanks! You have read this article downloads / printable with the title November 2010. You can bookmark this page URL http://jenkrebs.blogspot.com/2010/11/make-your-own-owl-calendar.html. Thanks! You have read this article design work with the title November 2010. 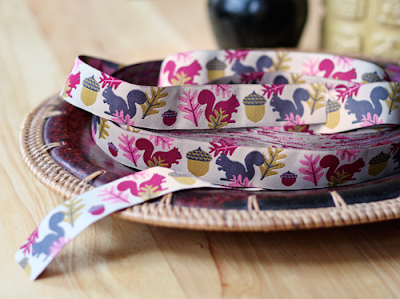 You can bookmark this page URL http://jenkrebs.blogspot.com/2010/11/new-ribbon-designs-squirrels-and-sewing.html. Thanks! You have read this article cards / christmas / printable with the title November 2010. 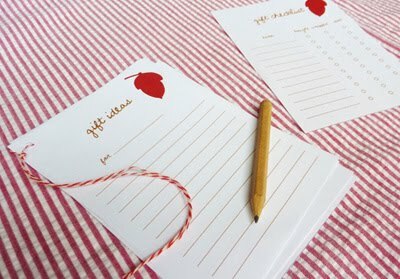 You can bookmark this page URL http://jenkrebs.blogspot.com/2010/11/printable-christmas-card-and-gift-list.html. Thanks! Type Depot is offering their delicate Matilde typeface at a cost of zero dollars. She's available in two styles, along with decorative frames and patterns. Download her here. 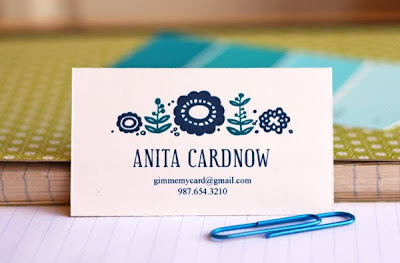 (This font is obviously a she.) 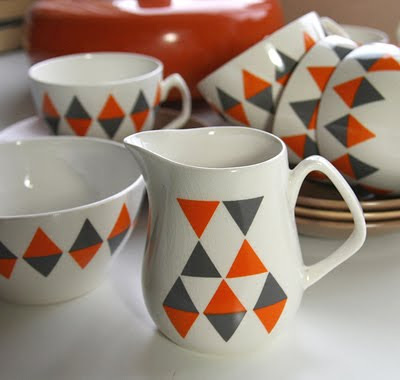 For help using the patterns, click here. You have read this article fonts with the title November 2010. You can bookmark this page URL http://jenkrebs.blogspot.com/2010/11/free-font-matilde.html. Thanks! You have read this article baby / tutorials with the title November 2010. 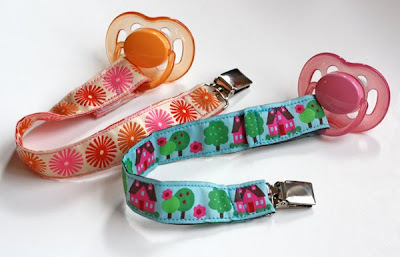 You can bookmark this page URL http://jenkrebs.blogspot.com/2010/11/how-to-make-pacifier-clips-with-ribbon.html. Thanks! You have read this article resources with the title November 2010. 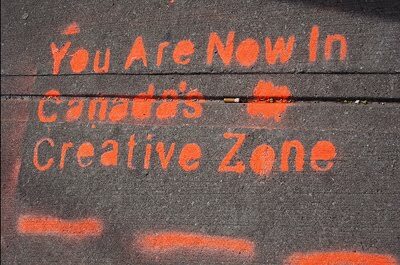 You can bookmark this page URL http://jenkrebs.blogspot.com/2010/11/easily-customize-your-twitter-page.html. Thanks! You have read this article cards / desktops / downloads / printable with the title November 2010. 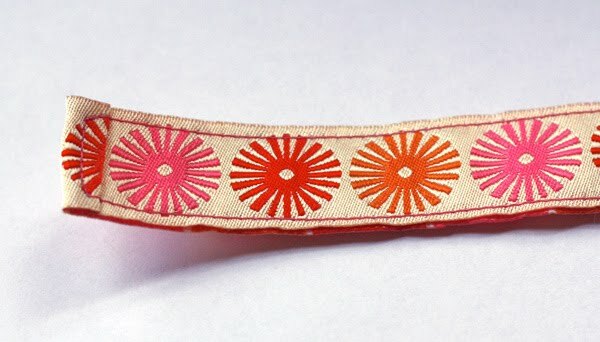 You can bookmark this page URL http://jenkrebs.blogspot.com/2010/11/retro-printable-card-from-june-craft.html. Thanks! I experimented with transferring an image onto fabric the other day. 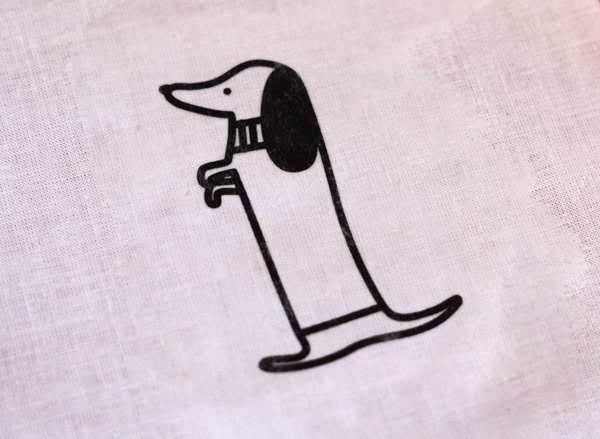 For my test, I used this completely adorable dachshund drawing by Kayanna Nelson of June Craft. The little fellow is downloadable for personal use at Bloesem Kids. With your finger—or a brush, but I prefer to feel what I'm doing—spread gel medium onto your fabric in the area where you want your image. Not too thin, not too thick; just a nice even layer. 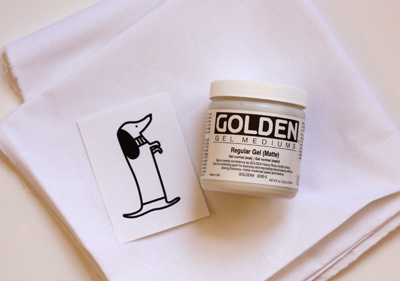 Place your image printed side down onto the sticky fabric and press firmly. 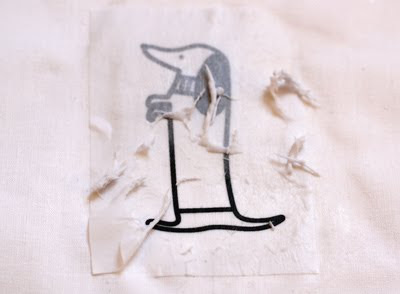 Burnish the paper with your thumbnail a bit to be sure the image makes good contact with the fabric. Let it dry completely. Dampen the paper with water, then gently rub the paper away from the image with your finger. The resulting fabric will be a bit stiffer where the gel medium was applied, and you'll be able to see it faintly. 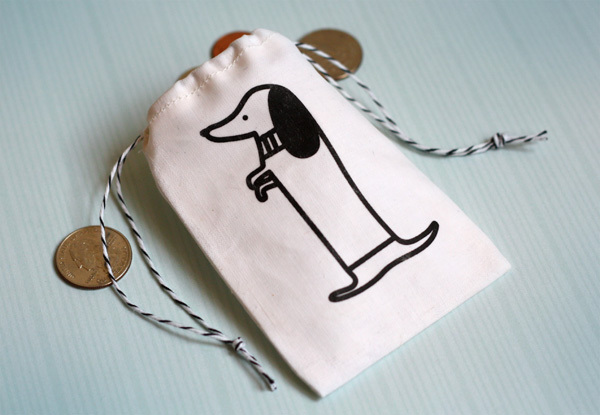 I sewed my print into a mini drawstring doggie bag, sized so the area with gel ends near the seams. This way the entire front of the bag is the same stiffness. It's quite cute! 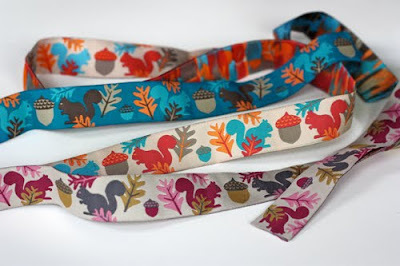 For a good drawstring bag tutorial, check out this one at Skip To My Lou. Since my bag is tiny, I laid the baker's twine inside the top channel before stitching it down, rather than threading it through later. You have read this article downloads / sewing / tutorials with the title November 2010. 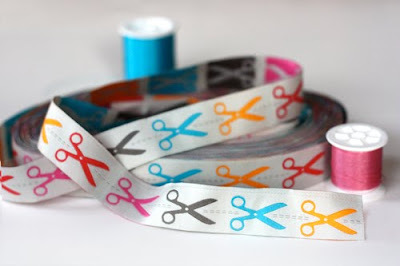 You can bookmark this page URL http://jenkrebs.blogspot.com/2010/11/how-to-transfer-image-to-fabric-with.html. Thanks! Have you been over to Poolga yet? My iPad really likes their growing set of wallpapers by fabulous designers and illustrators. Maybe your phone would like them, too. 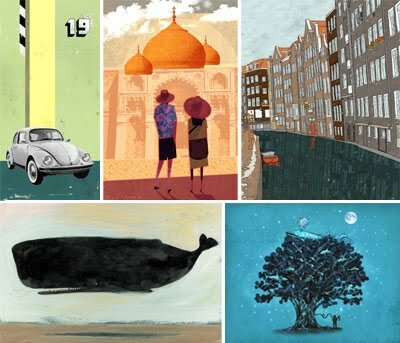 You have read this article desktops / downloads with the title November 2010. You can bookmark this page URL http://jenkrebs.blogspot.com/2010/11/cool-free-wallpapers-for-mobile-devices.html. Thanks! 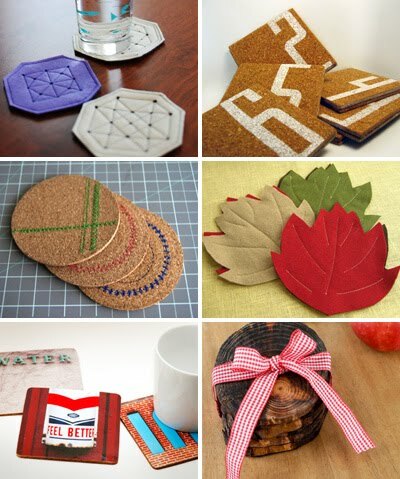 A collection of coaster projects, nice for keeping or handmade gift giving. You have read this article coasters / tutorials with the title November 2010. You can bookmark this page URL http://jenkrebs.blogspot.com/2010/11/diy-coaster-tutorial-round-up.html. Thanks! Just for fun I've made you a template for a personal calling card. 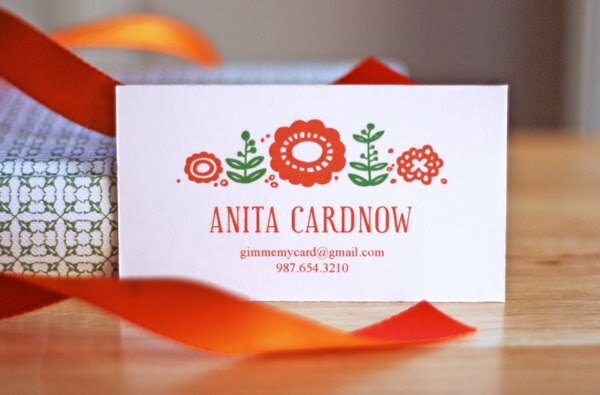 Apparently social calling cards are making a comeback, so you might want to print up a few to hand out at parties, moms' play groups, to new neighbors, or tuck them into your Christmas cards if you've updated your contact info. In case you don't like orange because there's something wrong with you, there are two other colors to choose from. Download orange cards, blue cards, or burgundy cards. Each design is a PDF file with editable fields for typing. After saving the file to your computer, open the PDF in Adobe Reader (free right here if you don't already have it), type in your information, and print at 100% on a sheet of white cardstock. Trim with an X-acto knife or scissors, using the crop marks as guides. The font used in the name field is Euphorigenic, a free download at MyFonts.com. If you don't feel like going to the trouble of fetching it and installing it on your machine, your computer will substitute a font that might be tolerable to you. (These cards are for personal use only; please don't try to sell the design, decorate your website with it, etc.) Enjoy! You have read this article cards / design work / downloads / printable with the title November 2010. You can bookmark this page URL http://jenkrebs.blogspot.com/2010/11/printable-calling-card-freebie.html. Thanks! You have read this article downloads / entertaining / printable with the title November 2010. 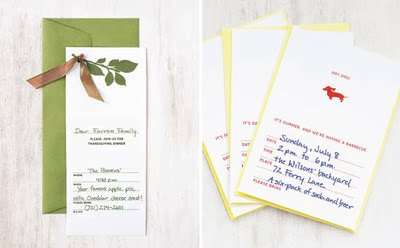 You can bookmark this page URL http://jenkrebs.blogspot.com/2010/11/simple-printable-party-invitations.html. Thanks! You have read this article downloads / paper with the title November 2010. 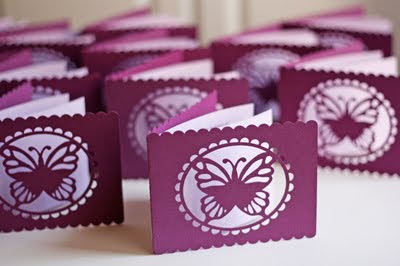 You can bookmark this page URL http://jenkrebs.blogspot.com/2010/11/butterfly-invitation-template.html. Thanks! You have read this article design work with the title November 2010. You can bookmark this page URL http://jenkrebs.blogspot.com/2010/11/valerie-wedding-invitation.html. Thanks! You have read this article giveaway with the title November 2010. 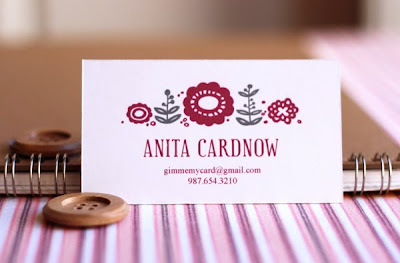 You can bookmark this page URL http://jenkrebs.blogspot.com/2010/11/giveaway-tiny-prints-gift-certificates.html. Thanks!